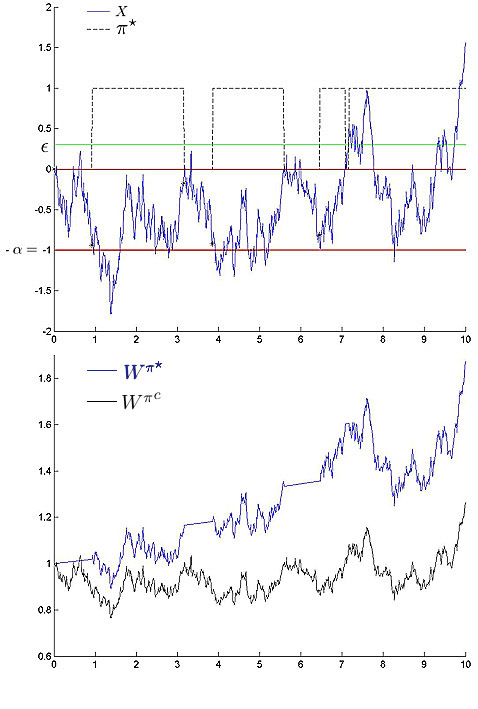 Abstract : We propose a mathematical model for one pattern of charts studied in technical analysis: in a phase of consolidation, the price of a risky asset goes down $\xi$ times after hitting a resistance level. We construct a mathematical strategy and we calculate the expectation of the wealth for the logaritmic utility function. Via simulations, we compare the strategy with the standard one.